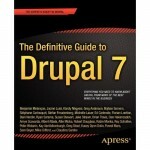 Next week (8 august 2011) Apress will publish the book The Definitive Guide to Drupal 7 (ISBN13: 978-1-4302-3135-6 ). The book will be 1112 pages phat and will be available as printed and e-book (in the following formats: EPUB, MOBI, PDF). 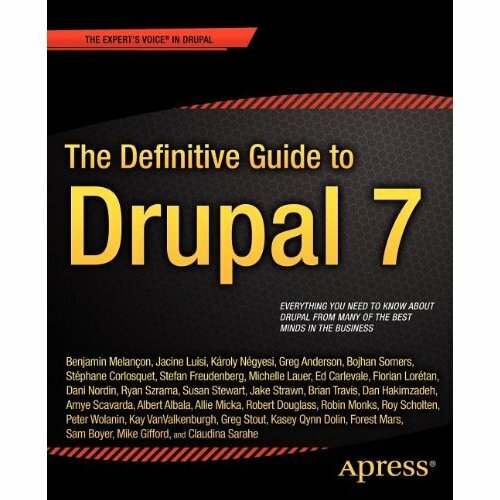 Apress has given me the opportunity to review this Drupal 7 book. I expect the review to appear later this month on my blog. Follow practical approaches to solving many online communication needs with Drupal with real examples. Learn how to keep learning about Drupal: administration, development, theming, design, and architecture. Go beyond the code to engage with the Drupal community as a contributing member and to do Drupal sustainably as a business. Launch a community-ready site in fifteen minutes. Talk to stakeholders and architect a site’s structure and functionality around the goals it must achieve to successfully launch major enterprise sites. Find, evaluate, and configure modules to extend Drupal’s functionality. Theme inspired designs into functional, future-proof templates. Build modules when you need to extend what Drupal can do beyond the thousands of solutions already coded by others. Work with Drupal sustainably as a professional and as a participant in the Drupal community. Anyone who has heard of Drupal and has a personal or professional reason to learn more: from Drupal administrators, themers, and developers to moonlighters and intense hobbyists. People considering a solo or collaborative career making websites will find this book their complete stop for Drupal. More information about this book can be found on Apress book site, www.apress.com/9781430231356.